Ships today if you order in the next 15 hours 17 minutes. 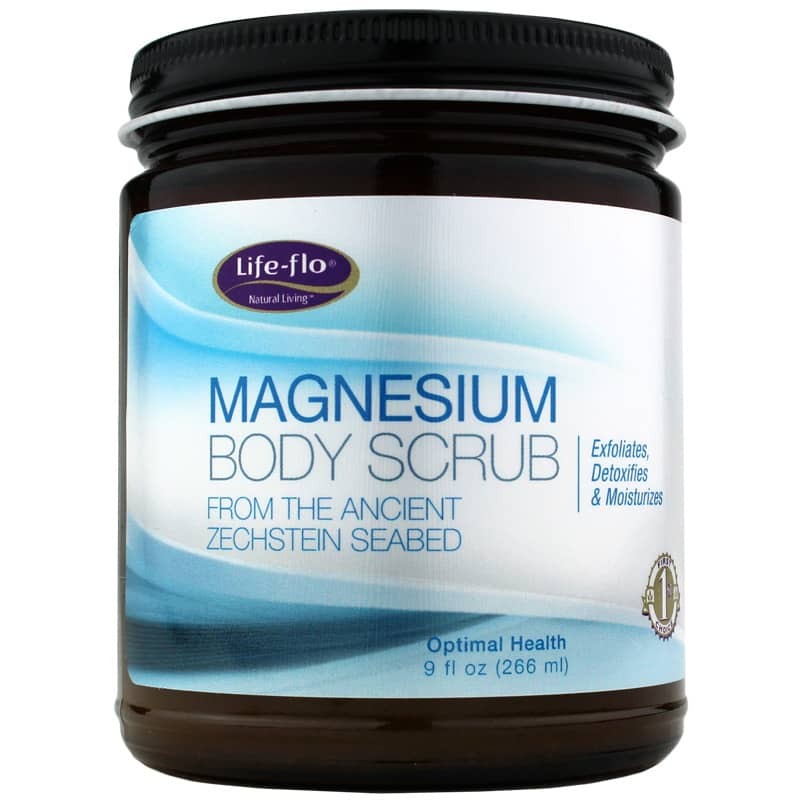 Magnesium Body Scrub, 9 Oz from Life Flo uses a concentrated form of magnesium chloride that is mined from the Zechstein Seabed in the Netherlands, and is mixed with sea salt and hydroxypropyl starch phosphate. 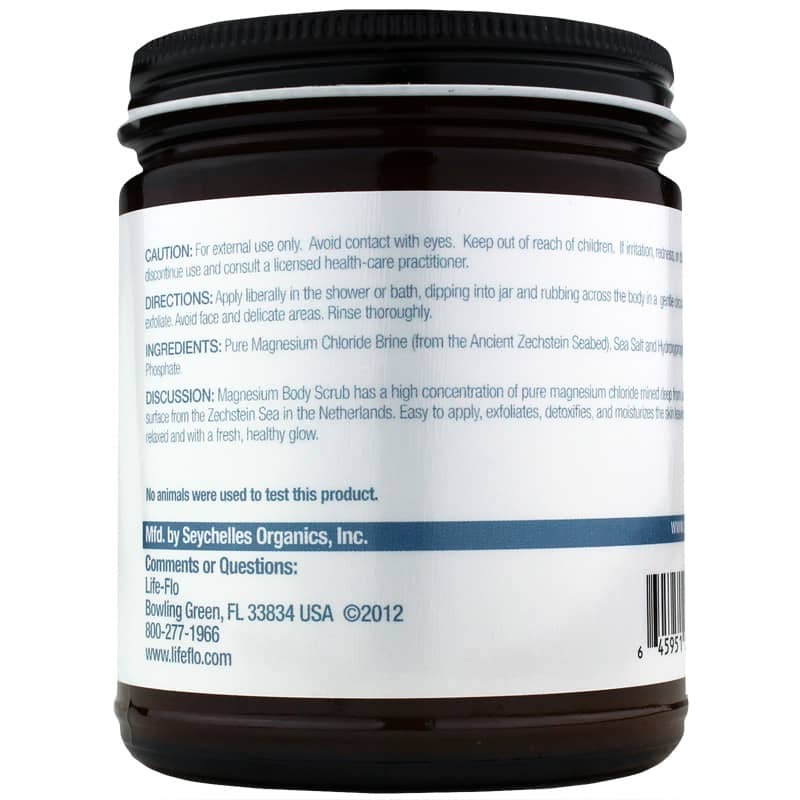 This gel formula is designed for use with hands or applicator during a shower or bath. The ingredients in this formula are designed to naturally exfoliate, detoxify and moisturize skin. Magnesium is a cofactor for several enzymes that help to regulate biochemical reactions, including energy production oxidation, cellular development and other functions that may support healthy looking skin, promote skin elasticity and normal hydration. When sea salt is applied to skin, it’s believed to lift away dead skin cells and help loosen dirt and oil in pores, which allows the body’s natural oils to reach the outer layers of skin and help maintain normal hydration. Exfoliation and detoxification of skin may help promote healthy appearance and feel. Pure Magnesium Chloride Brine (from the Ancient Zechstein Seabed), Sea Salt and Hydroxypropyl Starch Phosphate. Adults: Apply liberally in the shower or bath, dipping into jar and rubbing across the body in a gentle circular motion to exfoliate. Avoid face and delicate areas. Rinse thoroughly. For external use only. Avoid contact with eyes. Keep out of the reach of children. If irritation, redness or discomfort occurs, discontinue use and consult a licensed practitioner.